Preparing your driftwood to add to your home aquarium or terrarium requires that it be both clean and sterile. There is real potential to bring pests and pathogens into the captive environment if proper techniques aren’t followed. Collected driftwood will be full of dirt/sand, insects/animals, etc. A thorough cleaning will be very helpful in disinfecting your pieces in the next step. A stiff nylon bristle brush is an excellent means of getting into the cracks and crevices. Use a hose with a pressure nozzle to spray any visible debris from your pieces. After scrubbing and rinsing, it is prudent to soak your driftwood in a weak bleach solution for a 24-48 hours. I recommend ¼ cup of regular bleach per 5 gallons of water — Or 2 teaspoons per gallon. Depending on the size of the driftwood you plan to clean, you can employ some 5 gallon buckets easily obtainable from any hardware store. You can employ storage totes for medium/small pieces or a stock tank if you are doing medium and large pieces. 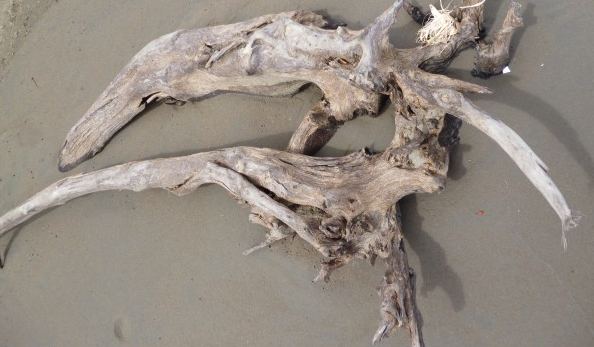 After soaking in bleach solution you will need to rinse the driftwood thoroughly. There should be no remaining chlorine scent on the wood whatsoever. 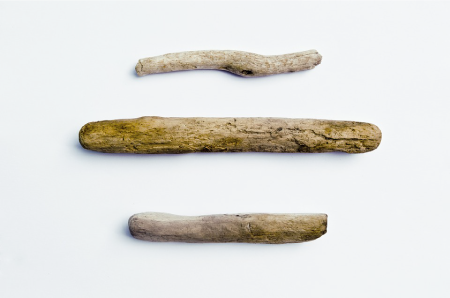 For very small pieces, you can literally boil the driftwood in a pot on your household range. Boiling will sterlize the wood within a few minutes, and will also speed the release of tannins from the wood. You can soak the driftwood again in a solution with de-chlor chemical added. This will help get some of the bleach neutralized in the center of the pieces. The soak time depends on the size/density of the piece you are working with. If time is not a factor, drying (see next paragraph) the piece out is a more fool-proof method of ridding yourself of excess chlorine. Alternatively, after rinsing your piece, you can leave it outside to dry for at least 2-4 days (or more), depending on the thickness and density of the pieces you are working with. Keep in mind that you can do a weight test to determine if they are dry. Chlorine is a gas, it will evaporate as the piece dries. When it is dry, the chlorine will be gone as well, and the piece will be safe to use. 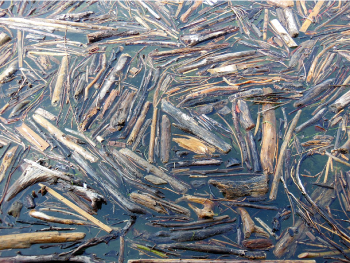 Keep in mind that some driftwood will release tannins into the water as it soaks. Many people soak their driftwood for a weeks to expel as much of this color staining chemical as possible. The good news is that tannins are not harmful in any way, and some people find the tea-coloration of the water it instills aesthetically pleasing.